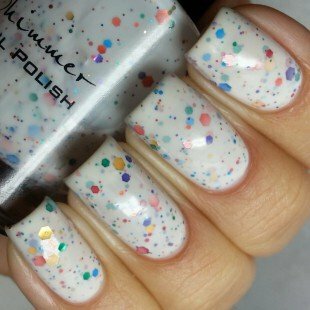 A white jelly polish loaded with the 6 rainbow colors in many different sizes. This reminders me of a painters drop cloth, or an abstract splatter painting. Best in 3 thin coats, you can also layer over a coat of white if you want to ensure there is no visible nail line.